Few people are aware of the strange tale of how Venezuela’s late leader gave the USA a private island – and even stranger is the island’s location. After the passing of Venezuelan president Hugo Chavez in early March, there was a flurry of media reports recounting some of the most memorable events in his often-controversial reign. One particular story had a unique twist, and stood out as a rare bright moment in US-Venezuela relations. With trade disputes, political disagreements, and even accusations of sabotage, bright spots in the relationship between Washington and Caracas have been rare in the last decade. However, in 2009, Hugo Chavez gave the American government a gift – and a pretty extravagant one, at that. 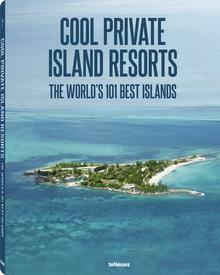 After all, who wouldn’t like a private island as a present? 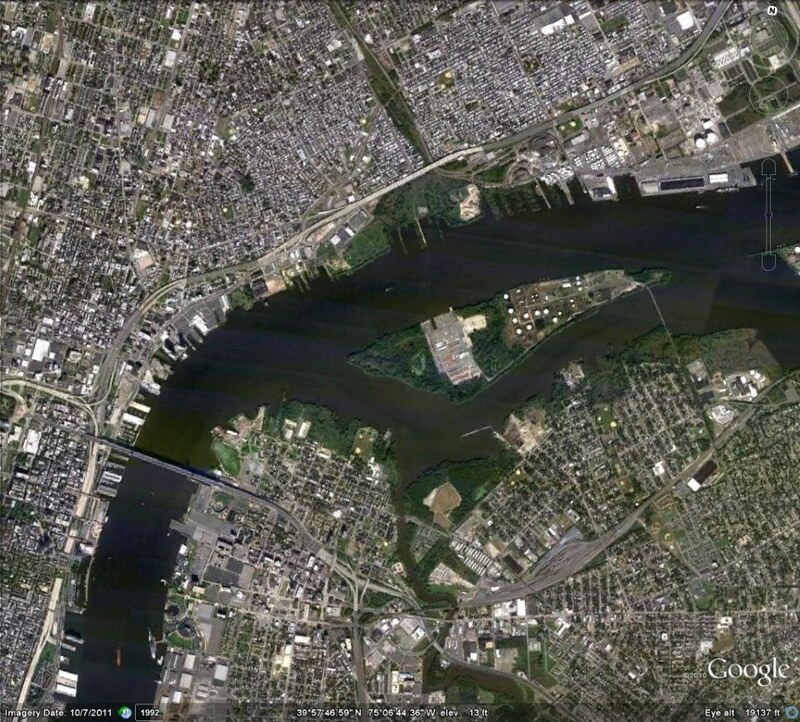 A sprawling 392 island in the Delaware River, Petty’s Island sits on the border between Pennsylvania and New Jersey, a heavily-trafficked shipping route between the industrial ports of Philadelphia and Camden. It may not be a tropical paradise, but a private island is a private island. Throughout its history, the island has variously been a respite for pirates (including, according to lore, Blackbeard), farmland and grazing pasture, and more recently, an industrial center. No one has lived on Petty’s Island since the 1960’s, but it has nevertheless been a bustling hub for many businesses. This is where the unusual ownership comes in – the Venezuelan fuel company Citgo bought the island in 1983, and used it as conveniently-located storage space for oil and other products. As a subsidiary of the state-owned energy company Petróleos de Venezuela, the company – and island – are technically owned by the country’s government. The fuel company was not the only one who made use of Petty’s Island, however. Despite being half-covered with tankers, warehouses and other industrial debris, the island is a major stopover point for migrating birds. Surrounded by wetlands and with an undisturbed patch of forest, it’s a surprising oasis for herons, ducks, and even a rare pair of bald eagles. 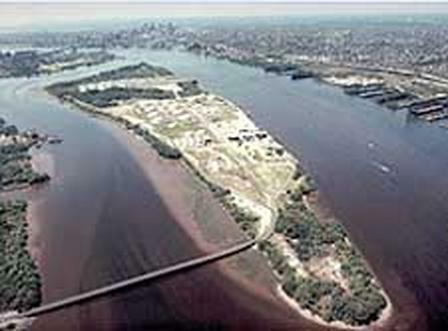 In January of 2009, the state-run New Jersey Natural Lands Trust voted to accept the donation of Petty’s Island and become stewards of the property. The finalized deal was announced with great fanfare by Hugo Chavez in April, while attending the Summit of the Americas in Trinidad and Tobago. Citgo would even sponsor an extensive cleanup. After long-term use as a fuel repository, it will take many years for the island to be to transformed into a wildlife refuge, but it could become one of the weirdest environmental success stories if all time. And while the gift may not have helped thaw relations between Venezuela and the United States, there are thousands of birds who are grateful indeed. 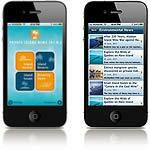 I like the property you posted, get to me with the lest price if your are the Agent/owner.